Magnetic Base UL-50411 Series offered by us is accurately dimensioned and suitable for a number of industrial applications. Magnetic Base UL-50411 Series, that we provide, are in compliance with the international quality standards. 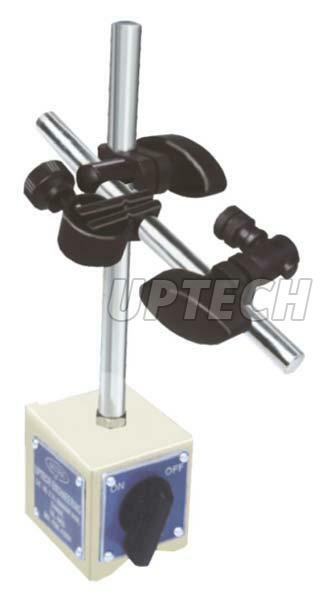 We make available premium Magnetic Base UL-50411 Series. Base V can be clamped to shaft of Ãï¿½20 to Ãï¿½120. Strong magnetic field, so it can be clamped to any part vertically & horizontally.